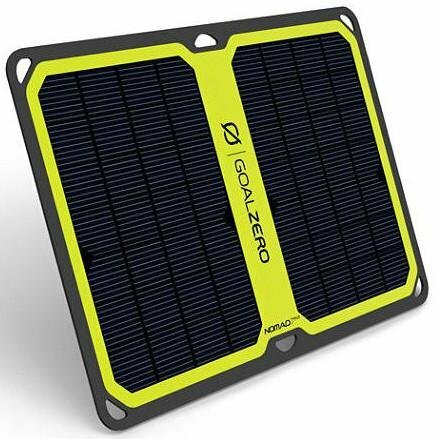 Reengineered to be lighter and smarter, the Nomad 7 Plus Solar Panel has the innovative technology to charge USB devices directly from the sun. Detachable kickstand for modularity and power-flow indicator ensure the best solar charging experience. Smart Charging for Phones Charge phones and USB devices directly from the sun. Features a dynamic auto-restart and intelligent electronics that optimize output to match the device. Solar Intensity Indicator + Junction Box This is where the brains of the Nomad 7 Plus live. Easy-to-read LED indicator displays strength of solar conditions. Receive immediate feedback on panel-to-sun placement to improve solar charging experience. 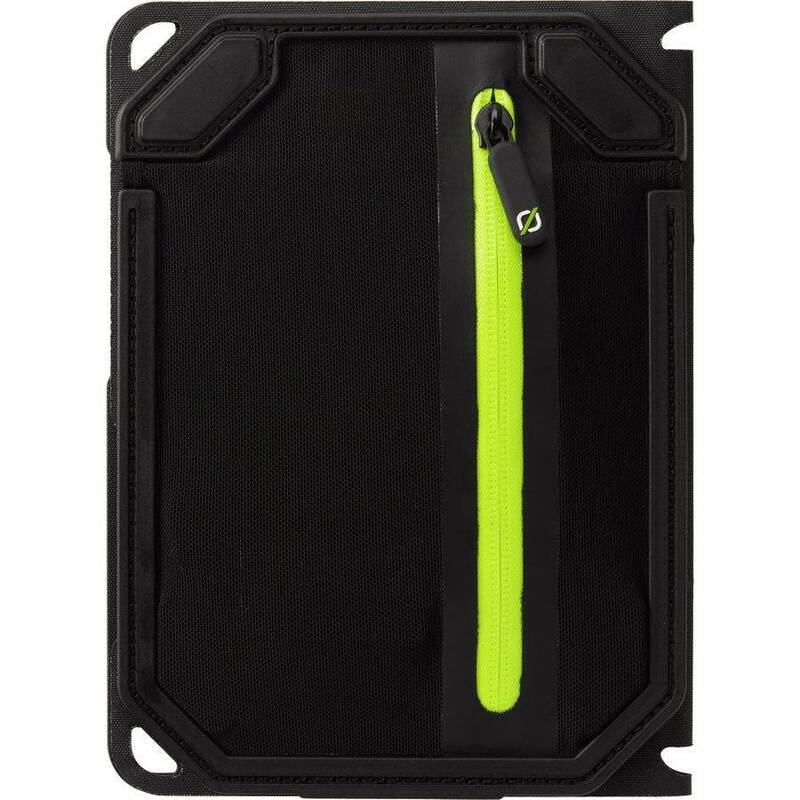 Rugged and Modular Detachable kickstand provides optimum angle placement, natural shade for charging devices and a vented pocket for temperature regulation. Weatherproof layering easily sloughs rain and snow. Auto Restart The Nomad 7 Plus features an auto restart that’s smarter than anything else on the market. 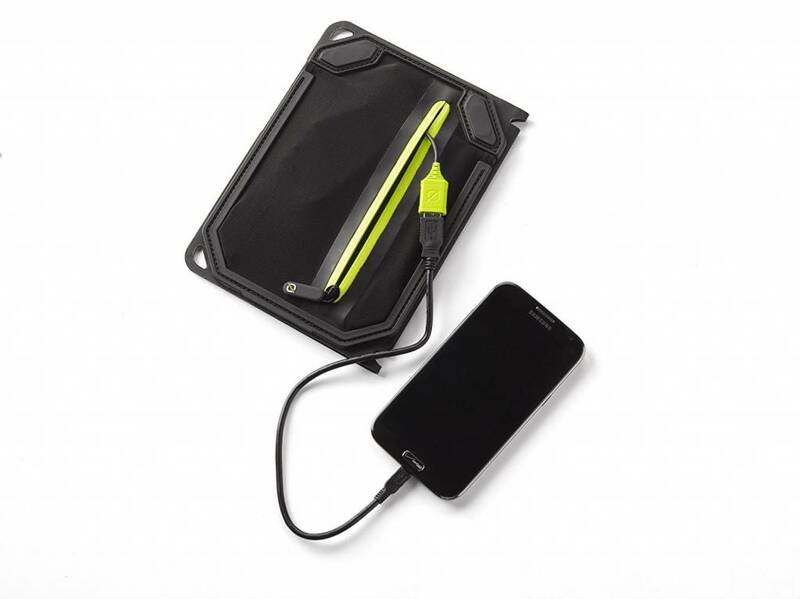 With the ability to track power flow history, the Nomad 7 Plus knows the difference between a device that has reached a fully charged state and one that disconnects due to environmental causes, i.e. lack of sunlight, shadow, etc. When the latter is detected, the Nomad 7 Plus will automatically reconnect the charging device, no extra work on your part is needed.